David Lawson and a number of other experienced meditation teachers and practitioners have begun a new Buddhist meditation center in town, Still Mountain Buddhist Meditation Center. David was a meditation teacher for many years at the Deep Spring Center, and The Crazy Wisdom Community Journal published an article by him on meditation just two years ago. I sat down with David some months back in the Tea Room to discuss this new center, and why it was dreamed into existence. We also talked about his own practice of Buddhist meditation, and how it has nourished him and influences his daily life. Tall, lanky, handsome, reserved, kind, and thoughtful are words that come to mind when describing David. There is also a sense of a serious and seasoned man, now with a light touch in how he moves through the world at age 67. He and his wife, Linda (a therapist and photographer), live in Scio Township west of Ann Arbor with their five-year-old son, Benjamin. He is also the grandfather to eight-year-old Joshua, who is the child of David’s older son, Aaron, who lives near Atlanta. Bill Zirinsky: David, you were a senior meditation teacher at Deep Spring Center for many years. Why did you and some others choose to start Still Mountain? David Lawson: The decision to help start Still Mountain was complex for me. For one thing, it was becoming very difficult to integrate such a wide variety of teachings from the many spiritual traditions outside Buddhism that were being offered at Deep Spring. I really only wanted to study Buddhism, and although nobody ever said I couldn’t do just that, the other things that were going on became a real distraction for me. This definitely does not mean that I believe other spiritual traditions to be inferior to Buddhism. Not at all! In fact, it is my sincerest hope and wish that people who have connections with other traditions may feel comfortable in coming to study with us, and we are already finding this is to be the case. Perhaps this is occurring because people sense that we are not trying to push a doctrine. And as for myself, I am perfectly content to spend my time looking into the mystery of the so-called ‘mundane,’ that which is right in front of me, rather than searching in other realms and dimensions. This life is so wonderfully mysterious. In rare instances when I feel somewhat bored, or just not very interested, I know that I am not seeing clearly. In my life, there are profound mysteries, such as, “Why do I still get stuck in the same old behavioral patterns that have been kicking me around all my life?” or “Why am I still so greedy, and fearful?” Of course, I don’t have to be a Buddhist to ask these kinds of questions. In fact, if I take on identification as a Buddhist and wear it as I would an article of clothing, then that becomes a problem, too. The Buddha seemed to be asking his followers to consider all of the ways in which they wear their self-identifications, and this would also definitely include one’s identification as a ‘Buddhist.’ So I know that. By the way, I maintain close friendships with many people who are still at Deep Spring, and people in that community know that I regard them with deep gratitude and respect. Deep Spring is doing just fine without those of us who decided to leave, and I know that it will continue to be a very important part of the community, serving many people in many ways. Bill Zirinsky: I know that you’re steeped in the Theravadin Buddhist tradition. Tell us about your own Buddhist meditation background? David Lawson: Theravada means the “path of the elders,” and some consider it to be the most reliable formulation of the Buddha’s teachings, although this is not necessarily my own view. Nevertheless, the Theravada approach is the one I know best, and it seems coherent. There were many other sects within early Buddhism, and the Theravada teachings survived largely due to the coming together of somewhat incidental historical events. Anyway, beginning in the 1980s, I started learning various forms of meditation practice that rely mainly on the ability of the mind to focus in on one object for an extended period of time. It did not take long for the “wow” factor to show up, and I started feeling better in my own life almost immediately. The only problem was that I had learned these techniques mainly from books and was practicing alone. Without knowing it, I developed some bad habits and my progress came almost to a standstill. So what to do? Then, I learned that, in addition to concentration practice, there is another basic form of meditation recommended and taught by the Buddha. This other form of Buddhist meditation has come to be known as “insight practice,” which is maybe an okay translation of the Pali phrase “vipassana bhavana” as it may have been spoken by the Buddha. However, vipassana itself is definitely not unique to the Theravada tradition. In any case, with insight meditation, one expands range of attention to include the full content and context of what is being experienced. If concentration practice is a vertical process in which there is a diving into the object, so to speak, then insight practice is a more horizontal approach allowing for a wider scope of attention. In concentration practice one experiences a unification of mind, a lessening of sensory input, and a slowing or stopping of time. In vipassana, one sees the multi-fold aspect of experience as it flows in time and is conditioned by the senses. One gets to see not necessarily new things, but things anew, you might say. In fact, the sense of “thingness” may evaporate completely so that nothing comes into view established as a thing separate from its environment, its context. These experiences in meditation can be quite startling! For example, it may take us completely by surprise to see how much effort we have devoted to maintaining a view of self as separate from our perceived environment. Then, questions may come like “Is this why the world seems to be happening to me?” or “Have I developed these deep habitual patterns of behavior in an attempt to protect the self from its own natural vulnerability?” Then, I get to see what a full-time job my effort to control experience has become, and at that point I can only laugh! I want to retire, take it down to part-time status, or at least take a vacation. My older son, Aaron, is an airline pilot, and he sometimes talks about the autopilot that some pilots have given the name “George.” George is really into control, and that is a very good and needed function for George. The only problem is that he tends to over-steer at times and tries to cut rigid, square corners, especially when making a turn. In fact, George can steer so jerkily that sometimes the pilots will take him off-line just because of it. There is a little bit of George in all of us, so we don’t have to look down on him, just know his limitations and thank him for his contribution. Well, anyway, I wanted to learn vipassana, and started looking locally for a teacher. I ended up finding this wonderful teacher named Barbara Brodsky. She was so generous with what she knew, and slowly, with her guidance, I started to develop a practice that really brought a lot of comfort, peace, and yes, even stability. Barbara also generously brought in a variety of visiting teachers from time to time, and I learned much from them. She asked me to start teaching four years later, and I have been doing that ever since. I also later studied with Ken McLeod, who is a well-known teacher in a completely different Buddhist tradition. From Ken, I learned how to open up both my teaching and sitting practice a little bit, and that also was a turning point for me. Ken has pretty much retired from teaching now, but he has had an enormous influence on a number of practitioners and teachers across the country. I actually still use concentration techniques and don’t really consider them to be separate from vipassana. Some vipassana practitioners do not consider concentration techniques to be valuable, but I have seen first-hand their usefulness. I also use so-called “directed” approaches to meditation, as well as “undirected” approaches, and find both to be helpful. Actually in practice, any line drawn between these approaches can sometimes seem to be a dotted one. And although there may be somewhat of a bias toward the more passive noting of experience within the modern vipassana movement, I don’t see that as a real problem. Bill Zirinsky: Was it a difficult decision leave Deep Spring Center, and can you tell us some about what went into that? David Lawson: Yes, it was a very difficult decision. It had been my spiritual home for a long time. I have always disliked leave-taking of any kind. How do you say to a dear friend “I used to be able to hear what you are saying, but now I find I need to listen to myself a little more?” And sometimes this requires setting aside the distractions and starting over from scratch. With Still Mountain, I basically wanted to help create an environment in which there would be no confusion about what was being taught. I really just wanted to simplify my approach. This is one reason why I prefer to teach mainly from the perspective of questions. I have enough answers already! Don’t many of them seem to be very fragile, circular arguments that break down with even the slightest examination? The Buddha himself refused to engage in any kind of metaphysical speculation. For example, he thought even the question of “Who is my true self?” to be beside the point. He didn’t seem necessarily to be saying that answers to these questions weren’t available, just that compulsive indulgence in them could lead to a further estrangement from the mystery of our everyday lives. Bill Zirinsky: You mentioned to me that you are hoping that Still Mountain will be a place in which members can find the congruence between different traditions. Please say more about that. Lawson: Well, of course, this is not an original thought on my part. People such as The Dalai Lama, Judith Lief, Joan Halifax, Joseph Goldstein, and others have been talking for some while now about the need for the three main traditions within Buddhism to be able to talk with and learn from each other. This is not a project to eliminate or gloss over the substantial differences among those traditions but simply to start a real dialogue. What can we learn from each other? The Dalai Lama recently lamented that, despite his efforts, he has spent more time talking with spiritual leaders of other traditions than with leaders within the various schools of Buddhism. So in the case of Still Mountain, we are rooted in the Theravada path, but we are also looking to enrich our understanding and practice by learning from the other Buddhist traditions. If we are surprised by the insights that come our way, this will be to our benefit. Bill Zirinsky: I have been an observer of the various Ann Arbor-based, Eastern spiritual sub-cultures for many decades. And Ann Arbor has been a place in which a number of different Buddhist groups have flourished — the Zen Buddhist community on Packard led by Resident Priest Haju Sunim, the Tsogyelgar community on West Liberty led by Traktung Rinpoche, the Jewel Heart community led by Gehlek Rimpoche, and the Deep Spring vipassana group led by Barbara Brodsky. Is there a need for yet another Buddhist community? What is, and what is going to be, different about Still Mountain? David Lawson: Still Mountain was started by a group of very senior practitioners. Maybe there is really nothing new under the sun, I don’t know. I would say that we didn’t really set out to differentiate ourselves from other groups, although many who now study with us say that it feels somehow different from what they have experienced elsewhere. We have spent lots of time in developing our guiding principles. First of all, as I said, we are a Buddhist center. We value what the Buddha had to say about how to live a meaningful life, and we have seen the happiness that the teachings have brought to ourselves and many others. Also, we wish to learn to be more egalitarian and inclusive in our practice, and we are not looking to set up a community that is dependent on one teacher. Nor do we ask anybody to believe anything in particular. Really, we ask only that participants look to their own practice for what is useful. Perhaps most important, we want to spend earnest effort in learning how to cultivate and express kindness toward each other and toward the community at large. This is, of course, easy to talk about and maybe not so easy to do. In one of the Buddha’s best known discourses known as the “Metta Sutta,” he talks about a radical practice of regarding everybody with love, but the punch line in that discourse comes when he advises the setting down of preconceived notions and views that otherwise tend to separate us from each other. Being human, of course, we know up front that we are going to make mistakes. But we will trust that it is possible for us to learn how to be respectful and generous with our affection. BZ: Susan Weir, also a long-time senior teacher at Deep Spring, also left a couple of years ago to form a new meditation group. Why did she do that, and what is her focus and orientation? Lawson: Here, in my opinion, is another good example of a senior practitioner and teacher who felt she neededto go her own way for her own spiritual development, although I am sure there were also many other factors that came into play. I would not presume to be able to speak for Susan, but I do know that it was also not an easy decision for her. 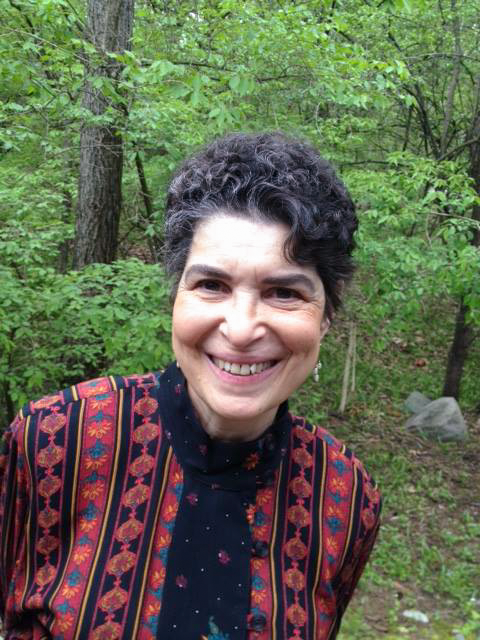 Susan is an excellent teacher, and her group known as Insight Meditation Ann Arbor is thriving. Her primary focus, I believe, remains on the teaching of Theravada vipassana. She teaches there with Ann Barden, Lou Weir, and Terry Gliedt. We are all friends. BZ: You mentioned to me that a kind of egalitarianism in decision-making was going to be a key aspect of this new Buddhist community. Can you say more about that? By the way, a local author and practitioner named George SanFacon has spent much of his life in investigating the whole question of how to build a democratic community. His published insights are extremely valuable, and I can highly recommend looking him up in person and on the Internet. He has been helpful to many groups locally and elsewhere. I think it is actually imperative for us, in a way, to explore our fears around democratic decision-making. In the model that I feel we have inherited from the Buddha, it is pretty clear that he pleaded with his followers to step up and take responsibility for their own spiritual development. This is what we’re looking for in community and what many of us, including myself, have been thirsting for, even if we were not always completely aware of it. BZ: Who are some of the others who have helped to start this community, and tell us something about their backgrounds? Lawson: Well, the initial planning group for Still Mountain started meeting in January 2014. Members of that group included Carola Carlier, Hugh Danville, Erica Dutton, Mariko Foulk, Mary Grannan, Simon Ha, Kay Mahan, Peg Tappe, and myself. All of these people were so generous in contributing their own special skills and understanding, and we worked very hard together. I could spend hours talking about each one of these people, really! They are all truly extraordinary, and their backgrounds include many years of meditation practice and commitment to the path we have been discussing. Vocationally, their backgrounds include teacher, counselor, interior designer, social worker, psychologist, nurse, IT analyst, and communications consultant. We were so lucky to have found each other in this work! We have also formed our first Governing Board. And this is where the real work begins. The members include Hugh Danville, Anita Sherman-Moran, Yair Rivlin, Judi Green, and Jim MacBain. We feel very fortunate that these folks have so enthusiastically agreed to donate their time and expertise to the guidance of Still Mountain. It is a very strong Board, and several members have substantial experience serving elsewhere on nonprofit boards as well as in leadership roles in other organizations. Finally, there are the teachers. These currently are Hugh Danville, Erica Dutton, Mary Grannan, Bilha Rivlin, Jim Whiteside, and myself. All have considerable teaching experience, and I am honored to be a part of the group. Each of us is committed to further developing our understanding and teaching skills. BZ: What is currently being offered at Still Mountain, and about how many people are participating in its various offerings? Lawson: We offer meditation classes for beginners, continuing practice/study groups for more experienced practitioners, and a sitting every Sunday morning open to the public. We “opened our doors” in August of 2014, following a workshop offered by a well-known meditation teacher based in California. We will also be offering retreats beginning this year, as well as other workshops. Our first retreat offered by Still Mountain teachers will be this October at Howell Nature Center. Currently, the people who come to our practice/study groups and our Sunday sitting number approximately 50. There are also two ongoing meditation groups, one offered through Turner Center, and the other by one of our teachers in the Plymouth area. Total participation in these two groups is currently about 30. In addition, we expect at least 50 people annually to sign up for our beginning classes offered through other public venues, and there are others who have expressed interest in participating in special events and other offerings as they occur. So I guess measured purely in terms of numbers, we are doing okay, although I don’t necessarily consider that to be the most important indicator of impact or contribution to the greater community. BZ: Where have you been meeting, and will you continue using that same venue? BZ: Are you bringing in any teachers or authors or Buddhist thinkers from outside Ann Arbor to give talks or lead workshops? Lawson: Last year, we invited Jason Siff to lead a workshop on his method of recollective awareness, which he has been practicing for many years and has written about extensively. This was our first official “Still Mountain” event. We also plan to invite other teachers outside the Ann Arbor to lead workshops and retreats with us. We will be announcing some pretty exciting events coming up yet this year and in 2016. Stay tuned! BZ: You are beginning a chaplaincy program with Bernie Glassman and Joan Halifax. Tell us about that, please. Lawson: One important emphasis of the Still Mountain approach will be to explore how we can be of real help to others in our community. We don’t want to keep what we are learning to ourselves, but we also don’t want to proselytize. We could really start anywhere, because there is so much need wherever you look! I spent some time in teaching meditation in a prison system, and found it to be a growth experience for me. We could do something like that again. Or we may choose to work with dying people in hospice settings, as one of our teachers has already done. Whomever we can help, perhaps a big part of our work will be to simply sit with the other person, the one who has been forgotten or left behind, without making a big deal out of it. We can learn to do that. In order to be able to help offer this kind of work as an organization, I personally felt that I would need formal chaplaincy training. There is only a small handful of Buddhist chaplaincy programs in the U.S., perhaps the best known of which is Upaya Zen Center in Santa Fe, New Mexico. The leader of that center is Joan Halifax, maybe best known for her work with the dying, and she is an amazing teacher in many ways. She describes her two-year program as “radical chaplaincy” working in the charnel grounds of society. I am very much looking forward to seeing if this training might open up my heart a little bit. Maybe it’s possible! Upaya has trained a number of lay chaplains (I think about sixty, maybe) over the past several years, and they are doing good work in their communities. BZ: You are, to use your own words, “flying by the seat of my pants” in terms of your leadership role in the still-fairly-new Still Mountain community. You said to me that, in terms of your disposition, you prefer to be moving towards the back of the bus, not leading from the front of the bus. Can you say more about that? Lawson: I think there is a big difference between leadership as offered to a leader by members of the group and leadership as asserted by an individual. The latter context of leadership, unfortunately, is often at the expense of community. Also, when seated at the front of the bus, it is possible to get a really bad case of motion sickness, especially if every single turn has to be in line with a predetermined route. From the back of the bus, on the other hand, you can still see the road ahead and shout out advice like “Look out for the ditch!” when needed. This does require, however, letting others take turns doing some of the driving. BZ: You told me that you are someone who enjoys learning and teaching, especially learning, and that you are hoping that the Still Mountain organization will be a collaborative model, where it runs just fine without one leader. At the same time, a new organization does need some clear decision-making. How is that sorting itself out, so far? With regard to building a clear decision-making process, you are right that this is critical. I like to remind myself that Still Mountain only “opened its doors” a few months ago, and so we are still working out some of the ways in which we will interact. But I think we are making great progress overall. We have community meetings every month, the Board is working in a number of vital areas, and the teachers are exploring how they will work together for the good of the community. It is going well, but I don’t necessarily think it will sort itself out. There has to be ongoing and active involvement of the full community. BZ: Tell us about your own personal, family background. Where were you raised, what was your heritage? Lawson: I was born in Chattanooga, Tennessee. My parents did not have a car, and they were renting an apartment from this wonderful guy who owned a mortuary at the time. I was actually brought home from the hospital in his hearse. I still have a beautiful poem written by him to me, in which he refers to me as “Little Johnny.” I don’t really remember him, but I do love him. My folks broke up when I was in early elementary school, and my younger brother and I ended up living with my mom in Traverse City, Michigan, then later in Grand Rapids. My brother and I would spend every summer with our father in Chattanooga, and that was great, too. My parents were both Christian, and I have many fond memories of the wonderful music and basic wholesome feeling of going to church with them as a boy. My father was an accountant, very devout and a deacon in the church. He also played a mean game of basketball and had a wry sense of humor. He was a hard worker, and most things in life did not come easily for him. My mother was a very beautiful and haunted person. People were instantly drawn to her, and she loved to party and have fun. She could also out-debate anybody I have ever met. She worked very hard all her life in mostly administrative jobs. My blood line is mainly English, Scottish, and Cherokee. Much of it is a mystery to me, and maybe I’ll look into it more deeply someday. BZ: And where did you go to high school and college? What did you study? You also played basketball, right? Lawson: I went to high school in Grand Rapids, then to college here at the University of Michigan in Ann Arbor. I was a premed student and entered medical school in Tennessee, where I was considered an in-state student because of my father’s residence. After spending four years in Ann Arbor in the sixties, I can tell you that Memphis was a culture shock, to say the least. My first Memphis apartment was close to the hotel in which Martin Luther King was assassinated. Ultimately, medical school turned out to be a big mistake, and the whole experience precipitated a real existential crisis for me. In fact, I remember playing a lot of basketball in medical school when I should have been studying. I was immature and under a lot of stress. BZ: And what was your degree in, or degrees? Tell us about your path as a young man, please. Lawson: I have a bachelor’s degree from University of Michigan in pre-professional Studies, and a master’s degree from Wayne State in occupational and environmental health. Ann Arbor was such a terrific place to go to school, and I fell in love with it almost immediately when I arrived here. I grew my hair long and took on some of the other affectations of the counter-culture. But what a ride it was! Ann Arbor in the sixties was really this kind of quaint little place with all of these wonderful people with all of their new ways of thinking and expressing themselves. I have been deeply shaped by that time and still listen to Dylan, for goodness sake! On some level, the education I was receiving here had to do with thinking about and taking action against abuses of power and privilege. I had a very difficult time, however, in applying it when I left school. I was basically lost. When I dropped out of medical school, I remember picking up a book titled The Way of Zen. I was mesmerized by it. One of my friends who was still in medical school visited our apartment one evening, saw the book, and said, “I wish I had the time to read books like that!” I don’t know where John is now, but I wish I could tell him how meaningful that one comment was as I struggled with my own sense of failure. I was also married at the time, and my first son, Aaron, was born in Memphis. I was working at Baptist Memorial Hospital as a surgical scrub technician while I made a final decision about whether to come back to medical school. It would probably curl your toes if I told you all of the things they let me do there as a know-nothing scrub assistant. Well, anyway, we decided to go back up to Grand Rapids. I worked there for a while and then we moved back to Ann Arbor, where my wife re-entered her program at U-M. She and I ultimately parted ways in the late 1970s. Throughout the seventies, I did different kinds of work that I knew would never ultimately be my vocation. These included jobs ranging from restaurant manager to hotel auditor to private investigator. Then, in 1977, I sensed it was time for another change. I entered the Wayne State program, and that launched me into a career that I have been engaged in since 1980. In the eighties, I lived pretty much alone, some said “like a monk.” It’s during that period that I started to meditate. I started to notice that I was not so angry anymore, not so lost! People actually started saying they liked being around me, which was a big change. In a way, I had found myself again. I also spent lots of time with my first son, whose custody I shared with his mother. Aaron was really the light of my life, and we did everything together! It is a huge happiness for me that he still knows how much I love him. The size of his heart is enormous, and somehow he has been able to keep it open despite lots of disappointment. He is an inspiration to me, truly! I met my wife, Linda, in 1989 at a workshop on improvisational comedy. By the way, improvisational relationship comedy has been an ongoing theme for us all these years! We are having a wonderful life, and it just keeps getting better! My Mom died in 1991. That was a pivotal event for me. The floor just dropped out from beneath me, and I was in a state of very deep despair for a long time. I had loved her dearly, and now she was gone! I went into group therapy for family members with alcoholic parents. Here is when I took another big growth step. There was suddenly the necessity to deal with death, with not knowing, and with the fragility of my life and those of my friends and family. It was strong medicine. BZ: And where do you work? What is your profession? Lawson: I work at Corporate Headquarters for Freudenberg-NOK in Plymouth as their director for health, safety, and environmental services. I guess you could say it is my job to protect the occupational wellbeing of all of our associates. BZ: What kind of company is Freudenberg, what do you like about it? Lawson: Freudenberg-NOK is a joint venture between German-based Freudenberg and the Japanese company NOK. The cultural mix is fascinating. The company is also deeply committed to taking care of its associates, so it has been a wonderful environment in which to make a livelihood. I am grateful. BZ: You are now a father of a young boy, and also a grandfather. That must be interesting and fun? Lawson: Yes, my second son, Benjamin, and my grandson, Joshua. Linda and I would talk about having a child, and I thought the idea was preposterous for someone of my age, but the more we talked about it, the more I realized that maybe I could handle it. In the delivery room, I took him in my arms and chanted to him, and the doctors and nurses were very patient with me. Then, I remember saying a prayer to him that night, thanking him for coming to us. Linda and I sometimes remark how dreamlike our lives feel, then Ben will wake us up with one of his impromptu performances. Recently, he composed a dance to an opera while wearing a homemade kitchen apron and a pirate hat. I think he has already added years to my life from the laughter alone. A couple of weeks ago, he announced that he has two ears: one that he only hears with, and one that he only talks with! This is true for all of us, yes? And some of us try to listen with the ear we only want to talk with. This is also something that we will work with at Still Mountain! My grandson, Joshua, lives in Georgia. He is such a beautiful little guy and makes friends so easily. I wish I got to see him more, and I am looking forward to seeing him grow up! BZ: Are you focused on the growth of the Still Mountain community, and if so, in what way, what will be the stages, as you see it? Lawson: I wouldn’t say I’m focused on the growth of Still Mountain in terms of numbers of participants in our community, however I am keenly interested in the growth of Still Mountain as a real community. As you know, Scott Peck talked about the stages of community with a lot of insight in how it really works. The first stage he described is maybe you might say the “honeymoon” stage. I love you, you love me, and everything is beautiful. Then, because I “love” you so much, I try to change you or rescue you from yourself. When you resist, I see that maybe there are some things about you that I’m not so crazy about. The third stage is one of chaos, in which there seems no way out of this dilemma. Life is a real drag! And here is where the real work of community comes in. Peck says that if we can hang in there and do our own work without trying to appropriate the experience of others, then we can make a breakthrough into real community. In real community, there are true differences of opinion and focus, but people learn to relish the diversity. The boundaries between people are not transcended so much as made workable. BZ: You mentioned to me that in the world of vipassana meditation, many of the communities are quite inward looking, and you’d like that not to be case for Still Mountain. Can you elaborate on that, how you want Still Mountain to contribute to the wider community and be less inward? Lawson: Well, this is sort of natural, I think. If we find something that we can do by ourselves, such as meditation, and we see it open the heart in a way that makes the world beautiful as it is, we may be tempted to try to do that to the exclusion of an outward focus. Let’s say you go away for a week on a wonderful retreat and suddenly you are in awe, you see things that you previously had no idea about. You want more! But then, you may also notice a bit of sadness creeping in as you come home and see how everybody else is still stuck in the mud! You can ignore the sadness and continue to focus on yourself, or you can come to see your practice in a larger context. People may be saying “Boy, how you’ve changed! How can I get some of that?” How do you respond to that? There is a practice in one of the Buddhist traditions that can be translated as “sending and receiving.” In this practice, one breathes in the suffering of others. This is a practice of compassion. Then, on the outbreath, one sends out the intention to express what is called “lovingkindness.” This alternating between compassion and lovingkindness is so powerful as to break down the sense of loneliness and separation that we all experience. This is where the heart really wants to go if we will let it. My hunch is that as Still Mountain starts to look more outwardly, we may discover that the whole distinction between inward and outward becomes a bit arbitrary. And I certainly don’t mean to imply that the typical insight community is selfish and inward looking to the detriment of the greater community, because this is sort of a typical critique put forth by some in the other Buddhist traditions. However, I do think that meditation communities in general would do well to tell beginners that an emphasis only on meditation, meditation, and meditation will not be sufficient to bring real freedom in their lives. What is also needed, if I may say so, is the practice of looking in the direction of others whom we believe to be so different from ourselves, with understanding and patience. BZ: I have noticed that some seasons over the last half-decade you were leading workshops entitled, “Five Months to Live.” Tell us about those. How have those gone, have they been meaningful to you, and to people who’ve attended? Lawson: Morbid fear of death haunted me for much of my life. I can remember waking up at night crying out to my parents about dying and how afraid I was of it. Fear of death was, in some sense, what propelled my spiritual seeking and also my excessive busyness at certain times in my life. I just didn’t want to face it. Then, my mother died, and I had no choice. I also learned that the Buddha recommended looking at the fact of death straight on as a way of loosening its grip. This seemed to make no sense to me. Wouldn’t it just make me fear death all the more? But since nothing else had worked, I decided to try it. I spent lots of time trying the methods the Buddha presented for looking at death, and you know what? It worked! If somebody like me can learn how to not only live with death but come to have very little fear of it, then anybody can do it, I guarantee you. Because I was really an extreme case. In the workshops, we presented these practices to those who were ready to try them. We had lots of interest, and many reported significant reduction in their fears after only five months. Some people took the workshop more than once! I recently had a long-time practitioner tell me that she thought she should take one of these workshops every year. Other teachers became active in presenting this material as well, especially Mary Grannan and Dottie Coyne. And their workshops were also highly subscribed. I feel confident that we will be offering such workshops again through Still Mountain. BZ: How does your meditation practice show up in your marriage? My meditation practice shows up in so many ways in my marriage that often surprise me. Maybe Linda says something that used to irritate me and now it doesn’t at all, or maybe it does a little bit but I am able to stop my reactive pattern before it gets going with a head of steam. Or maybe I slip all the way into one of my old patterns and fall out on the other side, to be left wondering “How the hell did that happen again?” In that case, even then, there can be some comfort in knowing clearly that it did happen and that I’m now able to look at it again. I’m able to come back. Best of all, sometimes, when she does not notice it, I may just look across the room and see her and recognize her, really see her! And of course, that breaks down all of my defensiveness and my wish to know the “Truth.” Because who cares what the “Truth” is when you are looking into the face of the beloved! That is the truth. BZ: In your fathering of your young son? Lawson: Here is where I find the practice of patience comes in for me. I still have lots to learn about it. If Benjamin gets caught up in a temper tantrum, for example, I get to engage with him in a way that gives both of us a little space. However, I still need to provide guidance. That requires patience. Also, I get to be aware of all of my fears for him, how his life will go, without getting too caught up in them. I am working a lot with this one! And Linda really helps me. BZ: In the way in which you navigated your departure from Deep Spring? Lawson: Well, I still don’t know exactly how skillful I was in my process of leaving Deep Spring. I did take my time, some people said too much time! Maybe that is another place in which I was working on my practice of patience. Mostly, I remember many late nights in meditation, exploring what was pulling me. I wanted to take action from a sense of being pulled rather than being pushed. I tend to talk to myself a lot about this distinction. When I feel pulled rather than pushed, I notice that the quiet voice of intuition starts to speak, even if in a tentative and halting way. That is when I really start to listen with the ear that wants to listen, rather than the ear that only wants to talk. BZ: In the way in which you are trying to navigate this early stage in the life of Still Mountain? Lawson: What has surprised me the most about my own attitude regarding Still Mountain is that I am not really all that concerned about whether it succeeds as an organization or not. Of course, I want it to be of value to the active participants and the larger community and succeed in that way, but even if that were to not happen, I would be fine with it. This attitude of acceptance about whatever happens in this regard is completely attributable to my practice, I feel, and a real shock to me! It would have not been possible for me even several years ago. Somehow, I have been fortunate enough to come upon a practice that takes much of the steam out of my sense of success and failure. I can just concentrate on what seems right in the moment and let the rest of it go. What a relief! David Lawson and a number of other experienced meditation teachers and practitioners have begun a new Buddhist meditation center in town, Still Mountain Buddhist Meditation Center. David was a meditation teacher for many years at the Deep Spring Center, and The Crazy Wisdom Community Journal published an article by him on meditation just two years ago. Posted on August 31, 2015 by Crazy Wisdom Journal and tagged David Lawson.